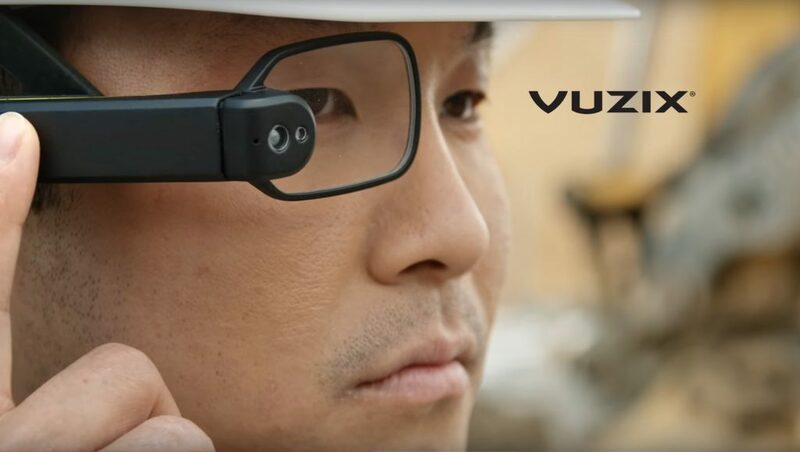 Vuzix Corporation, a leading supplier of Smart Glasses and Augmented Reality (AR) technology and products, is pleased to announce the Company has entered into a strategic partnership with AccuWeather to bring compelling and dynamic interactive AR-based weather experiences to Vuzix Blade Smart Glasses users across the globe. A demonstration of the integration of AccuWeather’s weather data in the Vuzix Blade Smart Glasses will debut in Las Vegas at the Consumer Electronics Show (CES) in January. AccuWeather, the largest and fastest-growing weather media company and global leader in weather-related big data, business and analytics, provides localized weather forecasts to more than 1.5 billion people worldwide. Now, for the first-time, individuals will be able to interact and view localized weather content and weather forecasts through Vuzix Blade Smart Glasses. Planning for the weather is critically important at home or travelling to other cities or destinations. Vuzix users now will have the added convenience of leaving their phones in their pockets while wearing the Vuzix Blade to stay informed and updated regarding the weather without missing a beat. “AccuWeather is one of the most trusted and recognized weather brands in the world with the largest collection of weather data. We are excited to be partnering with AccuWeather to deliver localized digital weather content and information via the Vuzix Blade Smart Glasses for users at home or on-the-go across the globe, wherever they are,” said Paul Travers, Vuzix President and Chief Executive Officer. Just as users of smart phones see routine weather forecasts on their mobile screens, wearers of the Vuzix Blade AR glasses will see a comprehensive weather forecast as a visual overlay that pops into their field of vision. For example, imagine getting ready for a day of air travel. You put on your Vuzix Blade Smart Glasses and check the current forecast of your departure city to see if weather might delay your flight. After landing in your destination, you see the current weather conditions as well as what the upcoming forecast is to help get the most from your trip. All of this is done without having to pull a smart phone out of your bag, while juggling luggage or reservation documents, making it easy to stay informed on-the-go. Demonstrations of “A Day in the Life with Blade,” including the integration of AccuWeather forecasts, will occur at the Vuzix booth (Tech East LVCC, Central Hall – Vuzix Corp. Booth #15036) at CES. The AccuWeather AR weather app is expected to be released on the Vuzix Blade Smart Glasses during the first quarter of 2019.